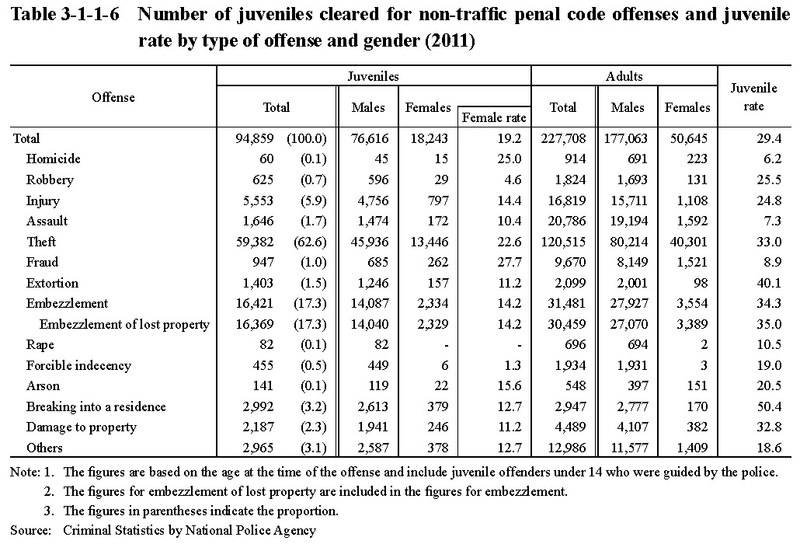 Table 3-1-1-6 shows the number of juveniles cleared for non-traffic penal code offenses and juvenile rate by type of offense and gender in 2011 (See Appendices 3-3, 3-4, and 3-5). By type of offense, theft accounted for the highest proportion, followed by embezzlement of lost property (these two offenses accounted for 79.9% of the total). The juvenile rate was high for breaking into a residence, extortion, embezzlement of lost property, theft, and damage to property.